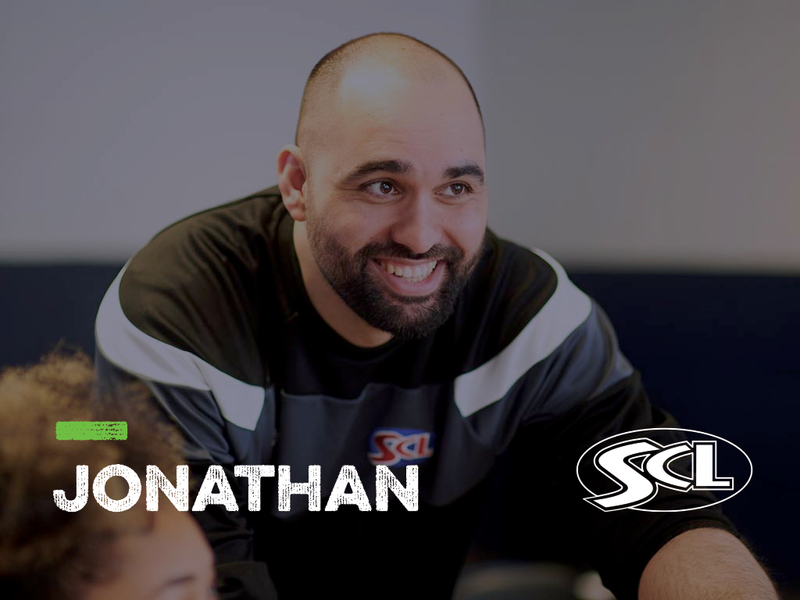 This week, we spoke to Jonathan Sohotha; FE Sports Lecturer at Millwall Community Trust Academy, as we took an inside look into his career, and found out why a role with SCL is #morethanjustajob. I currently work for SCL Education Group and undertake a variety of duties that involve teaching BTEC Level 3 Sport to children/young adults between the ages of 16-19 (usually). I also ensure their wellbeing, both mental and physical, is cared for and that they are able to manage workloads given to them with minimal stress. Further to this, I assess their work and provide feedback to students on how they can improve academically in the hopes of preparing them for either Higher Education or the work environment. The BTEC course that I provide to them does this by using a variety of assessments from presentations and essays to practical work, which enhances their employability skills. To teach students using a variety of methods; ensure their well-being is looked after; assess work submitted; and provide feedback and support through either tutorials or workshops. What do you enjoy most about your role as FE Sports Lecturer? Being able to teach students and watch their knowledge and expertise develop throughout the year. What support do you receive from your employer? I receive equipment; a line manager who provides me with updated information to ensure it is in-line with the awarding bodies’ standard; CPD training to enhance my skills in teaching; and flexibility in my approach to teaching. Can you talk us through your career path to-date? Originally, I started off in business having only GCSEs. After spending 5 years within office management I decided on a career change at the age of 21. I then went back to college and completed a Level 2 and 3 BTEC in Sport. After this I undertook a BSc in Sport & Exercise Science; completed an MSc in Sport & Exercise Science; and finally a Diploma in Education and Training (DET). I am now currently on Supervised Experience (SE) which is a course held by the British Association of Sport & Exercise Sciences (BASES) that allows me to become an approved Sports Scientist for BASES. I have undertaken a variety of courses throughout college and university to also give me coaching qualifications (Level 1 in Boccia and Korfball), anthropometry qualifications (ISAK Level 1) and gym instructing qualifications (CYQ Level 1 and 2, REPs Level 3). During the last 9 years I have also been a Coach, Health Advisor, and Nutritionist and worked with a variety of clients from stroke patients to semi-professional and professional athletes. My main passion lies in Exercise Physiology and Research Methods/Design. As I have only been with SCL for 9 months I cannot recall any standout moments as of yet. Within my career in teaching I have received praise from a group of students (roughly 50) for teaching them how to use APA/Harvard referencing effectively at the University of Winchester. What opportunities are there for young people within your industry? Students within this field can go on to university to study a wide range of subjects like Sports Management, Psychology, Coaching, Science, Business, and Marketing etc. Alternatively, there is the option of becoming a Gym Instructor, Coach, Nutritionist, Dietician, Technician, Health Advisor, Teaching Assistant or Analyst. What are you looking for when it comes to recruiting? What makes a learner stand out? Qualifications take a backseat in my vetting process. Although there is a minimum standard required if there is a level 5 (C) student and a level 8/9 (A+) student, but the level 5 has a passion for sport and is motivated and determined to excel not just on the pitch but in the classroom I will value them more than a the latter who is unmotivated and arrogant. I always appreciate learners who have questions to ask regarding any topic in sport and wants to learn more as these learners tend to push themselves to go above and beyond what is require that will prepare them for greater opportunities. What experience is required to be successful as an FE Sports Lecturer? You have to have in-depth knowledge of your area of expertise and an ability to be patient, yet firm. To understand that all learners are different and will respond in different ways depending on your approach to them. However, you should also be able to be confident and let learners know that you are the authority within the class that some learners may not respond well to. It is always useful to enhance your knowledge of the subject by continually enrolling on courses and workshops that can give your added knowledge of more up-to-date research in that field as you can pass this on to your learners. Ensuring I am checking students learning and that they are absorbing the information, as opposed to saying they understand but not really comprehending the information and critically thinking about it. Push yourself academically more and never stop learning. Leonardo da Vinci said it best “learning never exhausts the mind”. What is the best advice that you've received? As long as you feel you are pushing yourself hard enough, that is all you can do. If you are not, ask yourself why not? As all you would be doing is letting yourself and your future self down. Scientia, Sapientia, Excellentia (Knowledge, Wisdom, Excellence).